We are consistently fuelled by the innovative and forward-thinking spirits of those who lead our management. Their thinking percolates down to each and every member of the team and makes the change possible. 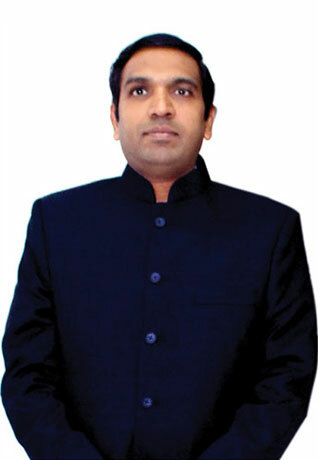 Mr. Menon graduated in Commerce and thereafter took a degree in law from the University of Kerala. 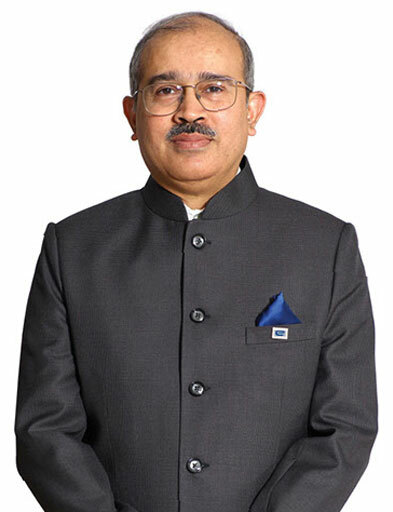 He enrolled as an advocate with the Bar Council of Kerala and practiced law before the High Court of Kerala until 1993, before joining Bank of India as Chief Officer (Law) at its Head Office in Mumbai. 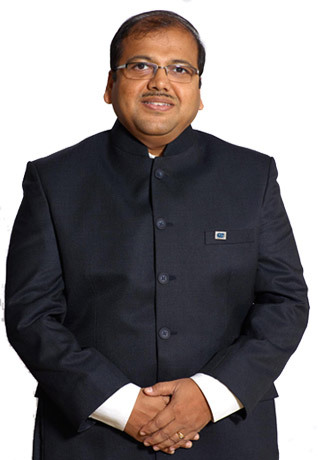 He was with Bank of India until 2002 pursuant to which he joined Exim Bank as Deputy General Manager in the Legal Group. He has been heading the Legal Group since 2005 as General Manager and later on as Chief General Manager. In 2016, Mr. Menon was on secondment to the New Development Bank set up by the BRICS member countries. Mr. Menon has been a speaker at important national and international events, like the St. Petersburg International Economic Forum, 2015, the 30th Asian Exim Banks Forum Training Program, 2015, on Legal Issues on Securities and Cross Border Collateral held at Bali, Indonesia, and at the Euromoney Seminars and Trade Finance’s 15th Annual Global Export Finance Conference held at Barcelona, Spain, in 2014. He has keen interest in medium format black & white photography. Mr. Mukul Sarkar is B.Tech (Hons.) in Mechanical Engineering from Indian Institute of Technology, Kharagpur and holds Post Graduate Diploma in Management from Indian Institute of Management, Kolkata. He joined the Bank in 1998 and at present heads the Project Exports Group of the Bank. Prior to this assignment, he was on deputation to Global Procurement Consultants Ltd., a consulting firm, as Managing Director. He has also served as Resident Representative of Bank’s Milan office. Mr. Sarkar has professional experience of more than 25 years in investment banking, corporate credit, project finance, cross border acquisition financing, SME lending and structured trade finance. Mr. Sarkar’s interests include astronomy and capital markets. Mr. Samuel Joseph is a graduate Engineer in Electronics & Communications from the Madurai Kamaraj University and a Master in Business Administration with specialisation in Finance from the Bharathidasan Institute of Management, Tiruchirappalli. He joined the Bank in 1998 and at present heads the Loan Administration and Human Resources Management Groups of the Bank. Prior to this assignment, he has headed the Corporate Banking, SME,Treasury, Accounts and Information Technology Groups at the Head Office of the Bank. 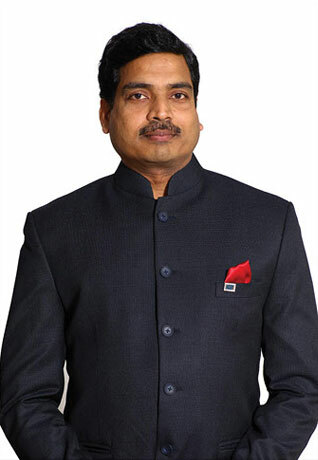 Mr. Samuel has served in the Bengaluru, Hyderabad, Milan and London Offices of the Bank in various capacities. He has over 25 years of professional experience in international trade and investment finance, project finance, structured lending, liability side management, including Treasury and raising of resources. Mr. Samuel’s interests include history and international geopolitics. A Master's degree holder in Economics, Mr. David Sinate has over two decades of experience in the field of economic research. 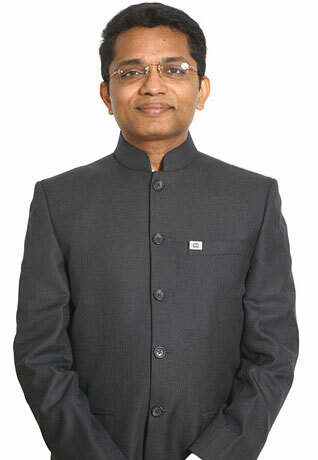 Mr. Prahalathan Iyer joined the Bank in 1998. Prior to this, he was with the Associated Chambers of Commerce & Industry of India, India Trade Promotion Organisation and the National Council for Applied Economic Research. At Exim Bank, he has worked in the areas of Export Services, Eximius Centre for Learning, Knowledge Centre and Research and Analysis. 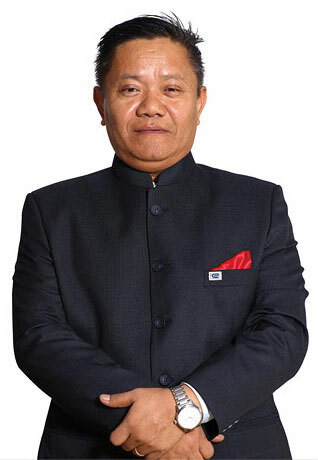 He was a member of the ‘Technical Committee on Services / Facilities to Exporters’, set up by the Reserve Bank of India; ‘Task Force on Trading of Goods in Local Currencies’, set up by the Department of Commerce, Government of India; and ‘India-Russia Joint Working Group on Settlement of Bilateral Trade in National Currencies’, set up by the Reserve Bank of India. Mr. Iyer holds a Master's Degrees in Economics, and Financial Management. Mr. Iyer has interests in Carnatic classical music, writing and reading. Mr. Nadeem Panjetan holds a Bachelor’s degree in Commerce and a Master’s degree in French with specialisation in international trade documentation. He has over three decades of work experience, during which he has contributed to various activities of the Bank covering its financing programmes, systems and procedures, corporate communications, treasury, accounts, human resources, infrastructure and information technology. Currently, he is in charge of Lines of Credit, a flagship programme of the Bank. Apart from his passion for the printed word, he is interested in cultures and cuisines the world over. A first class post graduate in Economics, post graduate in Financial Management and a Certified Associate of the Indian Institute of Bankers, Ms. Sharma has over 35 years of experience in areas such as project exports, treasury, accounts, corporate banking, project finance, overseas investment finance, stressed accounts and human resource management, besides having worked as Regional Head in other offices of the Bank. She is currently heading the Internal Audit Group of the Bank. She is a qualified assessor for the Confederation of Indian Industry-Exim Bank Award for Business Excellence, which is instituted with the aim of enhancing the competitiveness of companies. She has been on the Boards of companies in a cross section of industries. Her areas of interest include international project finance, human resources management, resolution and reconstruction of stressed accounts. Her other interests are writing, painting, music, sports and travel. A Commerce graduate, Ms. Rima Marphatia also holds a Post Graduate Diploma in Business Management from the Indian Institute of Management, Bangalore, with a specialization in finance. At present, she heads the Corporate Banking vertical of the Bank. Ms. Marphatia has over 28 years of experience in the areas of corporate lending, treasury, accounting, management information systems and risk management. She has benefited from a number of specialised training programmes both in India and abroad. She has been a Director on the Boards of Indian companies and has lectured on various aspects of export financing at various bank training colleges, academic institutions and industry bodies in India. Mr. Sudatta Mandal is a B-Tech. in Electrical Engineering from the Indian Institute of Technology -Kanpur, and holds a Post Graduate Diploma in Management with specialisation in Finance from the Indian Institute of Management-Calcutta. He joined Exim Bank in 1995 and is currently the Chief Risk Officer and Chief Strategy Officer of the Bank. Prior to this assignment, he was incharge of the Corporate Banking and SME Groups at the Bank’s Head Office. Mr. Mandal has professional experience of more than 21 years in international trade and investment finance, project finance, structured lending, SME lending including cluster financing, and trade finance. He has knowledge of and expertise in the Bank’s systems, processes and business policies across functions covering all products of the Bank. Mr. Mandal has interests in music, fine arts, cooking and gardening. 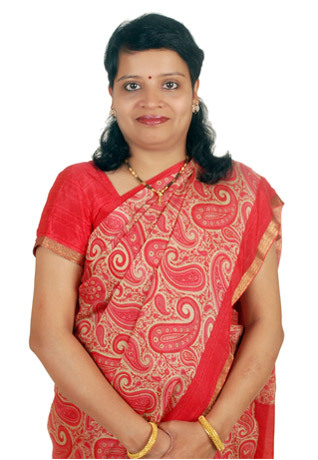 Ms. Harsha Bangari is the Chief Financial Officer of the Bank. She is a Bachelor of Commerce and a Chartered Accountant. She joined Exim Bank in 1995 and is currently a Chief General Manager heading the Treasury and Accounts Group. Ms. Bangari has professional experience of more than 20 years in the financial sector and has knowledge of and expertise in the Bank’s processes and business policies across functions, covering all products of the Bank, as well as risk management, client servicing and liability side management, including treasury functions and foreign currency resources. Ms. Bangari’s areas of interest include international debt capital markets and international project finance. Ms. Sunita Sindwani is a Certified Associate of the Indian Institute of Bankers and a Chartered Financial Analyst from ICFAI. She also holds the CGEIT and CISA designations from ISACA. 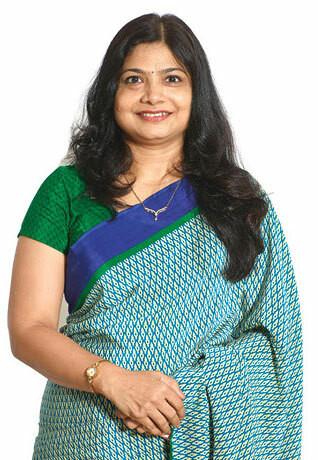 She obtained her software qualifications from NCSDCT (then associated with the Tata Institute of Fundamental Research). She has been with Exim Bank for three decades. Prior to this, she was with the National Institute for Training in Industrial Engineering. Her current responsibilities include handling the sustainability initiatives of the Bank. She represents Exim Bank in the working group for BFSI, as also in the workshops related to Natural Capital and Climate Finance. Besides having extensive experience on various platforms in the areas of Information Technology, Sunita is a poetess and has interests in travel, reading, music, art, spirituality and women empowerment. 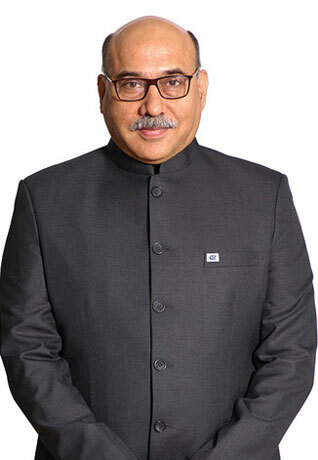 Mr. Utpal Gokhale holds a Bachelor’s degree in Engineering and a Post Graduate Diploma in Management. He has over two decades of work experience. He is presently in charge of Corporate Banking, SME financing and the Bank’s initiative for development of grassroots enterprises. Mr. Gaurav Bhandari is a first class graduate in Economics Honours from Delhi University and an alumni of Indian Institute of Management, Calcutta, with specialisation in Finance and Marketing. He is a Fellow Cost and Management Accountant from the Institute of Cost Accountants of India. He is also a Certified Associate of the Indian Institute of Bankers and a Certified Banking Compliance Professional of the Indian Institute of Banking & Finance. Mr. Bhandari has over 25 years of experience working in All India Financial Institutions in diverse areas such as corporate credit, international trade and investment finance, lines of credit, structured lending, credit risk management, accountancy, liability side management, including the treasury function and foreign currency resource raising, and Compliance. Presently, he is a General Manager heading the Loan Administration Group at the Bank’s Head Office, which mainly handles Special Situation Accounts. Prior to this, he was in charge of risk analysis and credit management and has held the positions of Chief Credit Risk Officer and Compliance Officer of the Bank. He has served as the Bank’s Resident Representative based in London and later as Chief Executive of the London Branch. His areas of interest include international trade finance, international debt capital markets and stressed asset management. 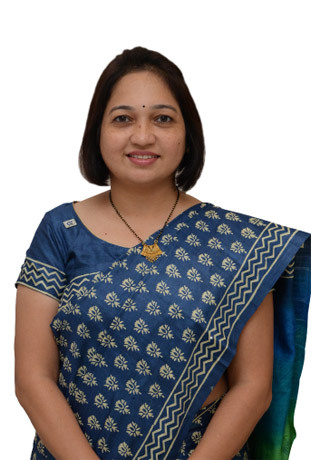 Ms. Deepali Agrawal joined the Bank in 1995 after completion of her Masters in Management Studies (Finance) from the Jamnalal Bajaj Institute of Management Studies, Mumbai. She is a Commerce graduate and has worked in different capacities at both the domestic and international offices of the Bank over the past two decades. Her former positions include heading the Western Region Representative Office and Singapore Representative Office. Currently she heads the policy business of the Bank’s Project Exports Group. Ms. Agrawal is a qualified assessor for the Confederation of Indian Industry -Exim Bank Award for Business Excellence, which was instituted with the aim of enhancing the competitiveness of Indian companies. She has been on the Board of few companies in diverse sectors. She played a major role towards enhancing the Bank’s brand image and visibility. She has actively worked for the upliftment of the grassroot level artisans and women empowerment. 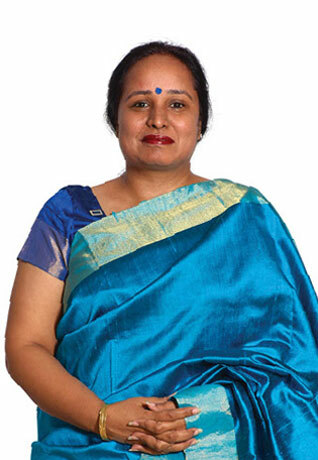 Ms. Manjiri Bhalerao joined the Bank in 1997. She holds a B.Tech (Hons.) degree in Computer Science from the Indian Institute of Technology, Roorkee, and a Master’s in International Business from the Indian Institute of Foreign Trade, Delhi. She is also a Certified Associate of Indian Institute of Bankers. Presently, she is General Manager heading the Loan Administration Group at Head Office, which mainly handles Special Situation Accounts. Before this she was heading the Corporate Banking Group of the Bank. Ms. Bhalerao has over 20 years of pan-India experience in areas of project finance, infrastructure financing, corporate credit, investment banking, overseas investment finance and trade finance. Relationship management, financial structuring in India and overseas and handling Special Situations Accounts are her key strengths. 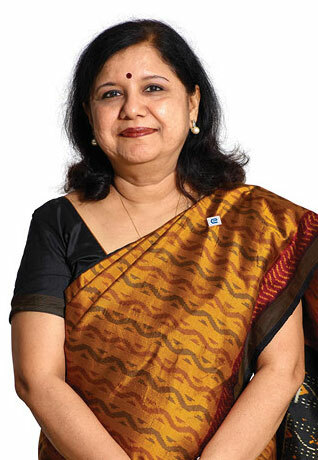 She has worked in various capacities in Exim Bank’s New Delhi Office as well. She is a qualified assessor for the Confederation of Indian Industry -Exim Bank Award for Business Excellence, with the aim of enhancing the Competitiveness of India Inc. The Award is based on the internationally recognized EFQM Excellence Model. She has also been on the Boards of companies in a cross section of industries. Mr. T.D. 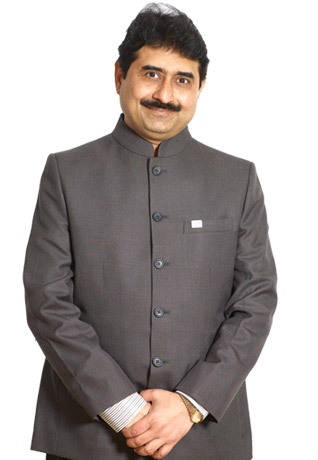 Sivakumar holds a Bachelor’s Degree in Leather Technology from Alagappa College of Technology, Anna University, Chennai, and Master's Degree in Business Administration (Finance & Marketing) from Bharathidasan Institute of Management, Tiruchirappalli. He has over two decades of experience in corporate banking, development finance and industrial marketing. 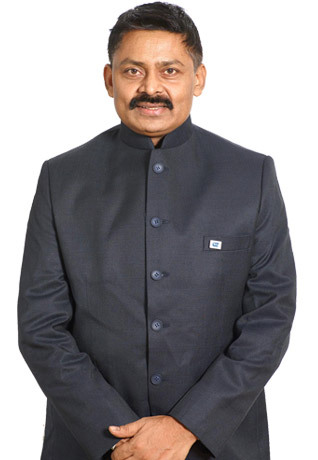 Sivakumar joined Exim Bank in 2000 and has held prior positions of the head of the Bank’s overseas office at Washington DC and domestic offices at Chennai and Bengaluru. In the leisure time, he enjoys time with the family, watching movies and travelling. Ms. Meena Verma is a Management graduate, specializing in Finance and Marketing from the University of Poona. 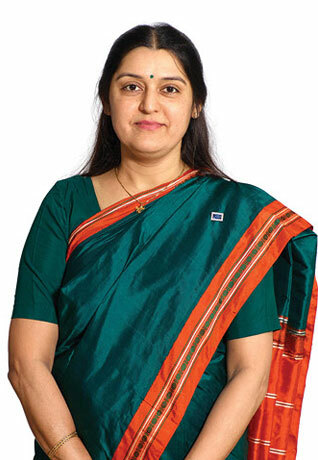 She has been associated with Export-Import Bank of India since 2005. Ms. Verma has worked in the Treasury and Accounts Group, where she handled fund raising and treasury management, including derivatives. 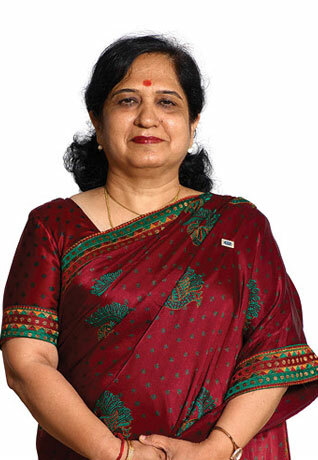 Prior to joining Exim Bank, she had worked in similar areas with the National Housing Bank. Currently she is incharge of Lines of Credit, a flagship programme of the Bank. Her areas of interest include meeting people, reading and travel. Mr. Tarun Sharma currently heads the Bank's New Delhi Regional Office, with responsibilities covering support to Indian companies by structuring finance for enhancing capability; managing a special purpose facility to support strategic projects globally; and handling government affairs. In the past two decades, Mr. Sharma has worked across various functional groups at the Bank’s Head Office , including strategy formulation and a stint as Executive Assistant to the Chairman. He has also served as the Bank’s Resident Representative (Americas) based in Washington DC, followed by a stint as a consultant with the World Bank’s Capacity Development and Partnerships Unit. Mr. Sharma has authored a book on Project Exports and has interests and experience in trade, competitiveness, industry and infrastructure development and policy. He has a bachelor’s degree in engineering from Pune, followed by a post graduate programme in management studies from Mumbai, and an advanced executive management programme from Cornell University in the U.S.
Mr. Vikramaditya Ugra joined the Bank in 1996. In the last two decades, he has served across various functions in the Bank, ranging from Project Exports, Export Credit, Lines of Credit and Corporate Banking, to Strategy, Risk Management, Compliance, Research & Analysis and Marketing Advisory Services. Mr. Ugra has held prior positions of Regional Head at the Bank's regional offices at Mumbai and Pune, and Chief Executive of the London Branch. He was part of Exim Bank's teams which set up the first branch of the Bank in London, and undertook consultancy studies on capacity building for export credit for financial institutions in South Africa and Ghana. He is a qualified assessor for the Confederation of Indian Industry - Exim Bank Award for Business Excellence, a Total Quality Management award based on the TQM model of the European Foundation for Quality Management. He has been a Director on the Boards of two Indian companies and has lectured at BANK training colleges and industry bodies in India on various aspects of export financing. After graduating in Economics from the University of Mumbai, Mr. Ugra secured a Master's degree in Management Studies from Mumbai's Jamnalal Bajaj Institute of Management Studies. He also holds an Advanced Certificate in Compliance (UK) from the University of Manchester Business School. 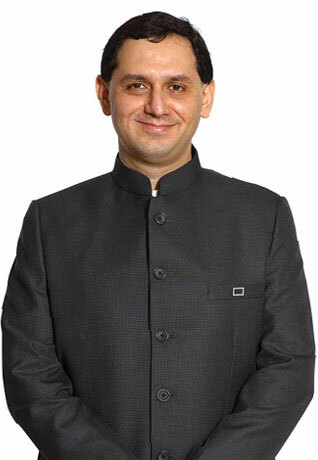 Mr. Dharmendra Sachan is a seasoned Knowledge Management practitioner. He holds a Bachelor’s degree in Commerce and Master’s in Library & Information Science, from the University of Rajasthan. He also holds a Diploma in Computer Science. Mr. Sachan has more than 26 years of experience as Chief Learning Officer and Chief Knowledge Officer with various organisations across India. 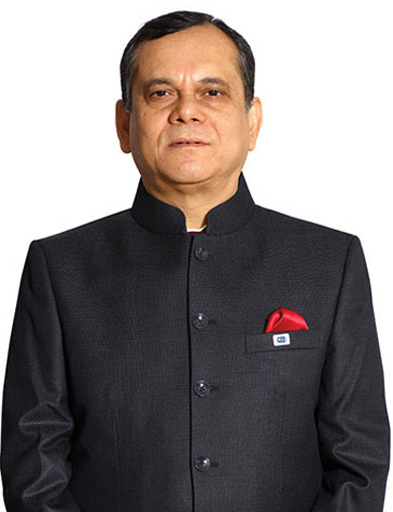 Some of his achievements include automation of more than 75 small and large libraries in India, South East Asia and in Central America; setting up of a fully Radio Frequency Identification based Learning Resource Centre at Bank of Baroda; and initiation of Knowledge Management practices in libraries. Mr. Sachan is an avid cyclist and receiver of the ‘Brevets Randonneurs Mondiaux’ medal. 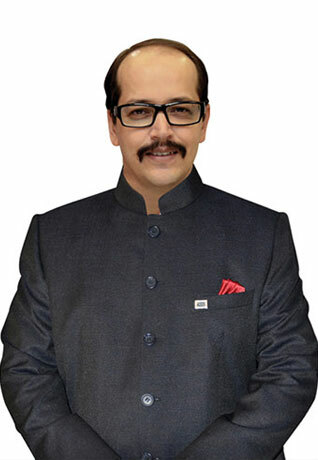 Mr. Sujeet Bhale holds a Bachelor’s degree in Engineering (Industrial Electronics) from Amravati University and a Master’s in Business Administration from DBAM University, Aurangabad. He is also a Certified Associate of the Indian Institute of Bankers (CAIIB) and has completed Post Graduate Diploma in Banking Technology Management from IDRBT, Hyderabad. He joined Exim Bank in 2012 and is currently associated with Corporate Banking Group at the Bank’s Head Office. Prior to this, Mr. Bhale worked in the Loan Administration Group, handling stressed assets. 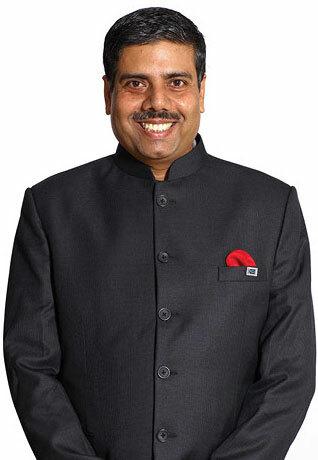 He was also Chief Executive of the Bank’s London Branch and Head of the Pune Regional Office. 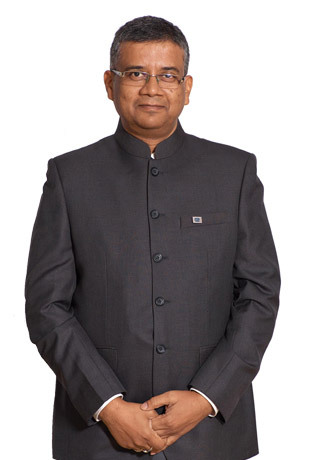 Before joining the Bank, Mr. Bhale worked with Bank of Baroda for 16 years, during which he was mainly involved in the areas of Corporate Credit, Project Finance, Loan Syndication, Infrastructure Finance etc. He also headed Bank of Baroda’s Syndication Centre in Dubai. During free time, he loves to read and stay updated on economic and political matters. Ms. Shilpa Waghmare holds a Bachelor’s degree in Commerce and is a Master’s degree in Management Studies from the University of Mumbai with specialisation in Finance. 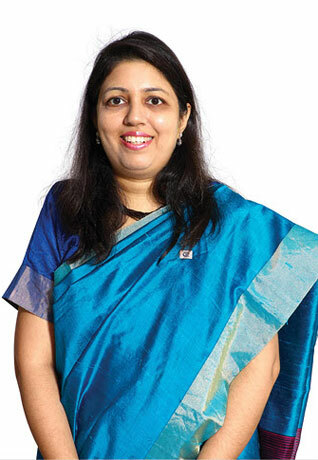 She is a Certified Associate of the Indian Institute of Bankers and is currently associated with the Loan Administration Group at the Bank’s Head Office. She has served across various functions in the Bank including Risk Analysis, Credit Management and Stressed Assets. Before joining the Bank, Ms. Waghmare worked with SICOM Ltd. for 12 years and its subsidiary SICOM ARC Ltd. for over 4 years. She has over 23 years of experience in the areas of stressed assets, management / resolution of non-performing assets, sale and purchase of stressed assets, legal matters, project finance and compliance. Her areas of interest include music, dance, cooking and travel. 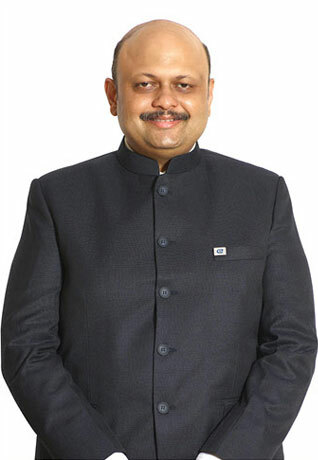 Mr. Uday Shinde is a Bachelor of Commerce and a Master in Personnel Management & Industrial Relations from the Tata Institute of Social Sciences, Mumbai. He joined Exim Bank in 1997 and is currently a General Manager heading the Human Resources Management Group. 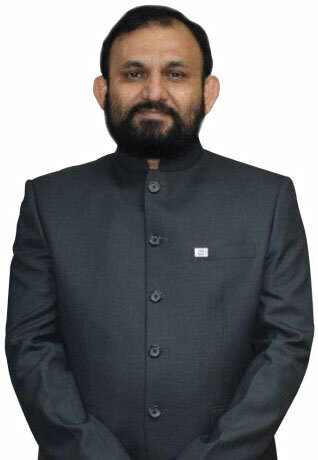 Mr. Shinde has professional experience of over 20 years in the human resources area as a generalist. His areas of interest include Employee Engagement, Talent Acquisition and Management. Besides, Mr. Shinde has had stints under secondment at the Bank’s Corporate Banking Group and Johannesburg Representative Office. 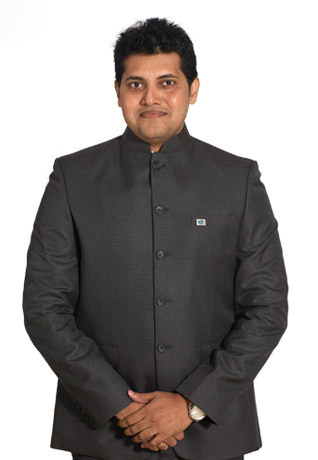 Mr. Lokesh Kumar is a graduate in Civil Engineering from the National Institute of Technology, Patna, and holds a Master’s degree in Marketing Management from the LN Mishra Institute, Patna and a Post Graduate Diploma in Financial Management from the Indira Gandhi National Open University. He is a Certified Associate of Indian Institute of Bankers. 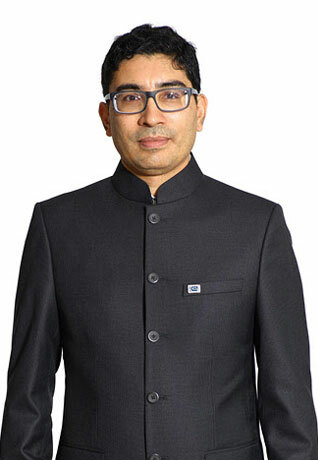 He joined Exim Bank in 2008 and is presently the Chief Executive of the Bank’s London Branch. Prior to this, Mr. Kumar has worked in the Corporate Banking, Project Exports and Loan Administration Groups of the Bank, and headed the Bank’s regional office at Pune. He was part of the Bank's team which undertook a consultancy assignment for capacity building of the Sri Lanka Export Credit Insurance Corporation, which was commissioned by Commonwealth Secretariat, London. Mr. Kumar has over 23 years of professional experience in the banking sector, including commercial banking experience of over a decade. He has interests in reading, networking, cooking and travel.